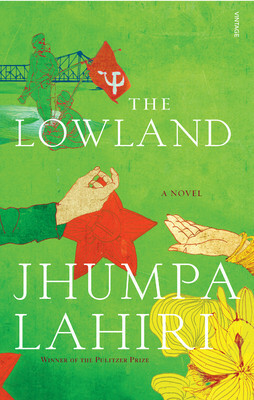 This new book by Jhumpa Lahiri is a powerful and riveting story. Set in Calcutta post independence, the book is the story of two brothers through the complex and tumultuous period of the birth of the Naxalite movement in West Bengal. The two brothers, Subhash and Udyaan take divergent paths, the former, being the obedient son choosing an education and a life in the US, while Udyaan gets drawn into a new political scenario unfolding in India at the time. The first part of this book outlines the lives of the two brothers in India and the US, shifting the focus in the latter half, when a tragedy disrupts forever the lives of three generations to come. The book is part political saga and part a personal journey. The story moves from one of hope and change to one of loss, despair and guilt. What seems to me however as most perplexing, is the inability of the characters to adapt or change to the circumstances unfolding before them. The tragedy affects them all through the ages, with the characters every action, every move somehow being driven by it. Having never read Jhumpa Lahiri prior to this however, I must say it was a good read. Her characters were beautifully complex and her words created a raw and painful world within which they lived.